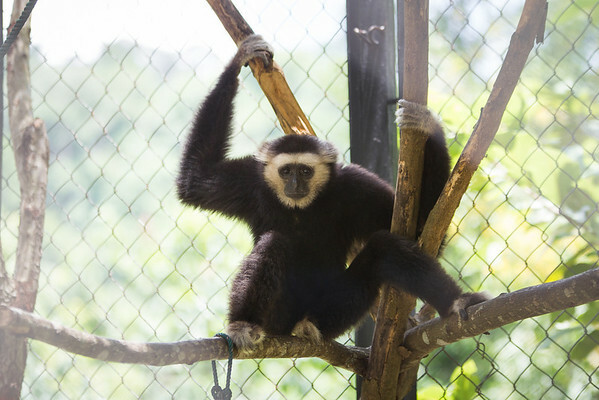 Sambo, the Pileated Gibbon, looks very sad indeed. As a result of his life before he was rescued, he loves the company of humans. However, since he was found to be positive for Hepatitis B, the experienced staff at the ACCB must keep their distance. Poor Sambo.